I'm reading Nabukov, Invitation to a Beheading, which is probably not what I need to be reading. I already feel like the world is contrived and artificial, I don't need help from him. Like I went to a baby shower yesterday, which seem about as staged as a Catholic mass. Everyone enters, pregnant mom arrives, everyone yells surprise. Greetings continue, then the organized, slightly frantic friend will make various announcements: time to eat, time to play a shower game, time to open presents. Then cake. That was the best part, I think. It was lovely, really. And kudos to the mom-to-be, who gets to go home with a lot of schwag. (Most of which I think is unnecessary to raising of young, I mean Diaper Genie-whatever). Maybe I'm just jealous that they are doing it "the right way." Get engaged, get married, work and save, buy a modest house and raise your kids, send them to college, retire and die. Which wouldn't even be such a prison sentence if you could at least enjoy it. Mom-to-be is going back to her low paying job almost immediately. But it doesn't matter-lawyers and doctors, cashiers and waitresses, even Anjelina Jolie I suspect, are all on this treadmill going nowhere. So how am I expected to enjoy a baby shower when I can't even find a Meaning For It All. So, this morning, full of ennui and self loathing, I went to church. I didn't want to. And the service was pretty tame-regular pastors were not in attendance, student preacher preaching. Lackluster song choices, if I may say so, and one that was so hard to sing that we all just mumbled through it. Bitchy of me, I know, but I was in a critical mood. But I did see one old friend who I gravitated toward and she gave me a big hug and I told her I woke up on the wrong side of bed and she said that that's ok, just straighten it out now. And I got a few more hugs from people who genuinely like me. And I saw that the lady I helped last week when she almost passed out from the heat was back in her pew. They didn't have to admit her after all, just gave her a tune up and sent her home. And another parishioner who I saw in the ER this week was ok. And the wife of another good old guy I took care of a few weeks ago told me that he's going home, there's nothing more to be done and he wants to spend his last days sitting in his chair and looking out his window and that it's ok. And it was ok. Because sometimes ok is enough. So, I got hugs and a reminder that I am both liked and useful, which is not too shabby for a Sunday morning. I like church. I'm still not sure who I'm praying to or what all the details are, but it is a tonic for those things that can't be fixed by either logic or therapy. I got back home, still a little irritable (really, now, STILL? ), wanting to write and getting interrupted a dozen times with "Mommy, can I...?" Just when I thought I would lose my stack, and S could tell, she went and brought me a sticker. 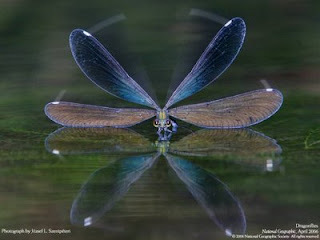 Of a dragonfly, because she knows they are a special to me. And we stuck it on my phone so I can have a substantial reminder that I can't always get what I want, but sometimes I get a gentle and loving reminder not to be such a poop head.